The Safari Hostel is perfectly centered in town, offering access to every quarter of Rio de Janeiro. Right at the access of Christ Redeemer Road which is mid way between Alto and Santa Teresa, we are within a mere 15 minutes of downtown and it subway stations, whether its Santa Teresas Restaurants, Barra da Tijucas beaches or shopping malls, Copacabanas boardwalk, the beach and bars of Ipanema, or the nightlife of Lapa, Leblon and Tijuca; its all quickly accessible from our doorstep. Many magical waterfalls, fauna and flora that cover 3.5 million hectares of rich Atlantic forest surround our unique location right in town. Home of the hang gliders launch point The National Park of Tijuca is a haven for all adventure-seeking people, and their diverse sports. Some of the activities that can be done within The Park or just near by include hang gliding, skating, hiking, rappelling, trekking, climbing, mountain biking, surfing, kite surfing, body boarding, diving etc. Just inside the town. Founded in an 1850′s coffee depot and lodge, the building remains intact and preserved from the days when the Viscount of Mau had its steel beams ordered from London and assembled in Praa Afonso Viseu, where, still surrounded by the great mansions of the age, the house served as a meeting ground for coffee farmers and traders. Adorned by the natural beauty of Tijuca Forest, the point rapidly grew in popularity. 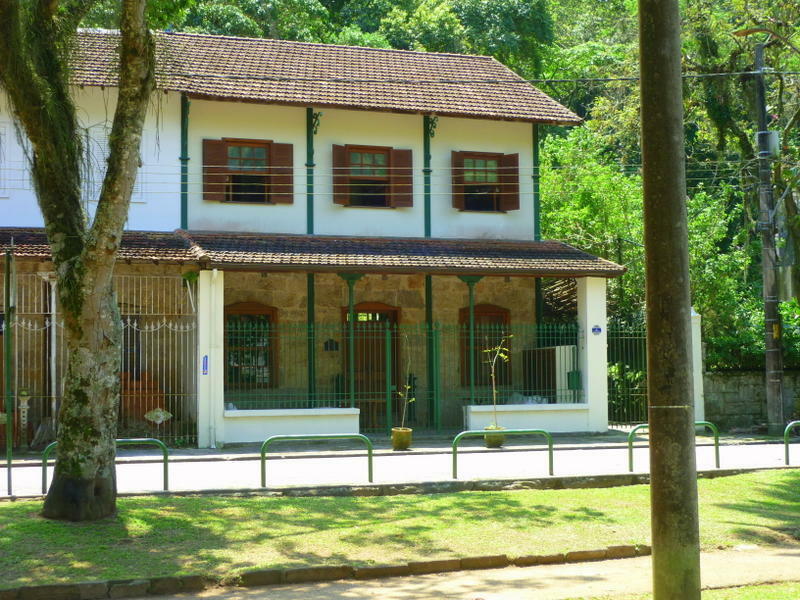 Today, at the entrance of Tijuca Forests National Park, the house has been refurbished to the most modern of standards. With its comfortable and acclimatized rooms the house once again comes alive to host your every desire. o Sheets, towels, and 24 Hs. hot water. - Staff speaks English, French & Spanish. profile in Rio de Janeiro. In order to guarantee your reservation at NYE and Carnival, besides the 10% deposit made to Hostelworld.com you will need to pay 50% in advance in order to secure your booking for those periods. We will contact you to send you the money transfer details. By Shuttle, make your reservation with http://shuttlerio.com.br/home/en/ from the international Tom Jobim Airport taking off at the Intercontinental Hotel, once there walk to Fashion Mall and nowhere else and take a cab to Pracinha do Alto da Boa Vista Asking to take 'Estrada das Canoas' to reach the place. By Air the Conditioned bus- Rate about R$ 12, 00. Departing every 30 minutes named 'LINHA 2018 REAL AUTO NIBUS' at International Airport to the south zone. This will be a nice tour around Rio de Janeiro beaches by the coast. After cross two tunnels ask the driver to take of at So Conrado by Churrascaria Oasis'. Cross the street and you will see 'Jo Cab' ,ask to reach Pracinha do Alto by 'Estrada das Canoas'. By Cab. You may also send an E-mail to: atendimento@coopaerotaxi.com.br making reservation with a fixed price to ' Pracinha do Alto da Boa Vista. They might ask you about R$ 80, 00 to get here.